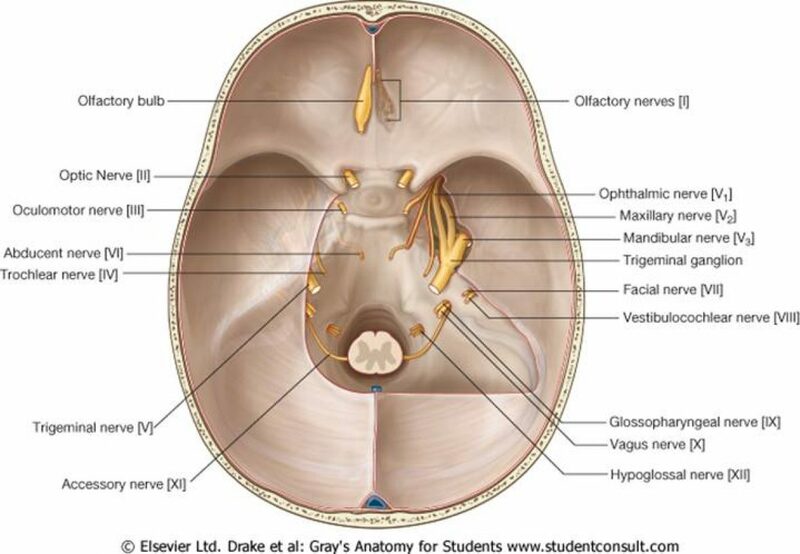 The lower cranial nerves include 9,10,11 and 12. The hypoglossal nerve is considered seperately because of its exit via the hypoglossal canal. The glossopharyngeal, vagus, and spinal accessory nerve leave the skull base via the jugular foramen with the carotid artery and the internal jugular vein. The glossopharyngeal nerve has motor, sensory and parasympathetic fibres. The glossopharyngeal nucleus lies in the medulla. Like the glossopharyngeal nerve, it has motor, sensory and parasympathetic functions. The posterior cricoarytenoid and lateral crico-arytenoid are innervated by the recurrent laryngeal nerves and are involved in abdcution (posterior) and adduction (lateral) of the vocal chords. This is a purely motor nerve supplying two key muscles: the sternacleidomastoid muscle and trapezius muscle. It has both a spinal part and a cranial part.